Vincent founded in 2009 the DEVIN SCHOOL of Yoga – a community hub dedicated to all who wish to live a fuller, happier and healthier life. DEVIN SCHOOL OF YOGA is registered Yoga Alliance and offers RYT 200 & RYT 500 Alignment based Hatha Vinyasa Yoga Teacher Training. 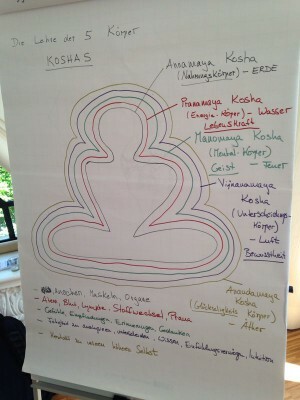 The essence of all classes are the unique elements combining the alignment of the body, mind and heart centre and the underlying philosophy. This is based on the advanced knowledge of biomechanics, thus making the practice for each, not only more accessible but also very safe. In the classes the students learn and practice asanas (postures) accompanied by Pranayama (breathing exercises) and meditation, as an expression of the inner qualities of being, by connecting us with the heart. A playful practice of finding your own roots and the lightness to unfold yourself interwoven with inner heart intention. 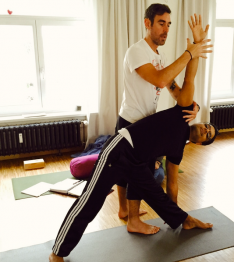 Vincent also provides Thai and Osteothai Massage and Reiki and teaches in French, English and German. A personalized yoga session to meet your individual needs and schedule. Everybody is different and everybody therefore has different needs, this is also true with a Yoga Practice. In private sessions we can work on an individual made plan for your practice at home. Your home yoga consultation will include discussion about your personal goals in yoga, how to make your practice consistent and a written practice plan so you know what will be the best yoga practice at home. Engaging in your health care requires three essential qualities: discipline, accountability and discernment. We offer to support you in this process by giving you appropriate tools to engage more and differently in your wellness and your health, whether in a preventive approach or in a process of healing chronic pains, a disease or simply following a life event or transition. Reiki is the Japanese phrase for “universal life energy”. The Usui System of Reiki Healing is a hands-on healing practice. 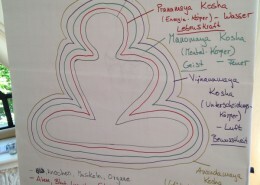 Reiki – universal life energy – is channeled through the practitioner’s hands for self-treatment or treatment of others. The result of receiving Reiki is enhanced health and well-being – physical, mental, emotional, and spiritual.